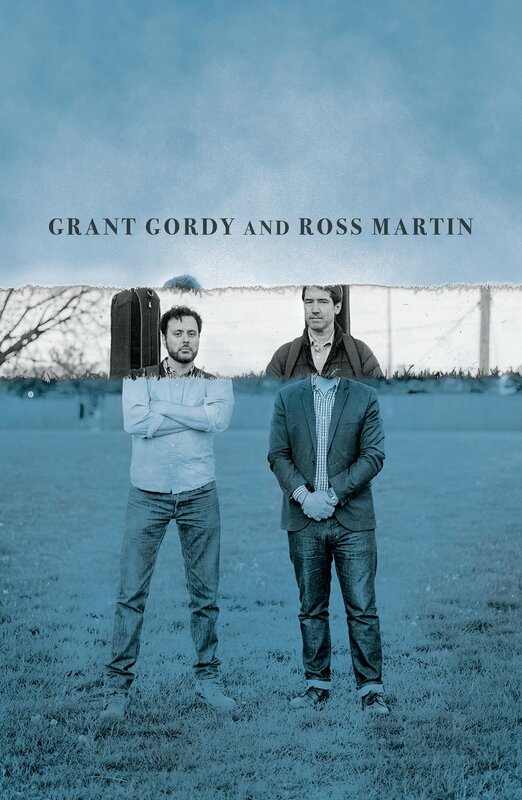 Grant Gordy and Ross Martin’s duet recording Year of the Dog brings together two of acoustic music’s most forward-thinking virtuoso guitarists, both of whom have deep backgrounds in the American musical vernacular. The album combines originals from each with well-chosen covers from the bluegrass and jazz worlds in which they’ve made their homes. The duo, born of impromptu musical meetings and jams, honors its birth in spontaneity with plenty of seat-of- the-pants soloing as well as some elaborate two-guitar arrangements that recall other great guitar pairings: Eddie Lang and Lonnie Johnson, John Scofield and Bill Frisell, Lennon and Harrison, Rice and Blake, Garcia and Weir, and McLaughlin and DiMeola, to name a handful. Improvisation, fluency in different styles, and thoughtful arranging are also hallmarks of some of the bands in which Grant and Ross have previously made their marks. Grant held the guitar chair in the legendary David Grisman Quintet for six years, and currently plays in Mr. Sun with DGQ alum Darol Anger. Ross has been the guitarist in the Matt Flinner Trio, probably the best keeper-of- the-flame of the vibrant new acoustic music created by Grisman and his numerous stellar sidemen since the DGQ’s launch in the mid-1970s. While Grant and Ross’s recording is not designed to appeal primarily to guitarists, six-string fans will revel not only in their virtuosity but also in the rich sounds of their guitars (a mix of vintage and newly built gems). Their beautifully recorded instruments are displayed right off the bat with Ross’s original folk/bluegrass tune “Beacon,” a fiddle-tune for guitars that demonstrates the guitarists’ roots in the style and ability to support and enhance each other’s solo flights. “Beacon” ends by giving us a glimpse at where they’re willing to take their music, with a duo improvisation in which the guitars engage in a musical conversation that has now clearly moved on from its fiddle tune origin. The improvised ending of “Beacon” leads perfectly into a not-oft- heard bebop tune, Bud Powell’s “Celia,” which features a compelling arrangement that adapts Powell’s original recording to two guitars: expect to hear this arrangement escaping from behind jazz guitar-school dorm-room doors in the near future. “Celia” is also a good chance for Grant and Ross to display their individual approaches to jazz: Ross’s more mainstream approach, which features melodic lines effortlessly navigating the tune’s lush chord changes, contrasts with Grant’s dryer, searching “Thelonious Monk plays bluegrass” style. “Celia” is followed by a few more originals, including Grant’s bluegrassy “Storm of the Century of the Week” (a sure nominee for Tune Name of the Year . . . of the Decade), followed by a round of covers: the gospel hymn “Farther Along,” the Earl Scruggs banjo tune “Dear Old Dixie,” the jazz standard “I’ll Be Seeing You,” and a brilliantly odd medley of the French-Canadian fiddle tune “Snowflake Reel” and Pat Metheny’s “Bright Size Life.” Oh, and just for good measure, the duo throws in a note-perfect, heartfelt rendition of J.S. Bach’s Two-Part Invention, No. 2. While their originals attest to their ability to convincingly combine styles into coherent and tuneful compositions, the variety of covers fit so perfectly together that it becomes clear how well Grant and Ross have assimilated all their influences and created their own styles, which, while being easily distinguishable, perfectly complement each other. While obviously a must-have for guitarists looking for the latest in six-string virtuosity, Year of the Dog, as well as any upcoming live shows by the prodigious duo, will appeal to any music lover interested in new sounds and spontaneous musical sport. And it will likely be the Album of the Year (of the Decade of the Century) for many listeners.